The President, and the members of the Management Board, wish all the members of Mind Sports South Africa (MSSA), each and every Registered Player, our readers, our followers on Facebook, and followers on Twitter a very Happy and Prosperous 2018. May you overcome your failings, find peace within, and remain true to yourself. Back in 1985 a number of dreamers banded together to do for gaming what was being done for other accredited sports. It was a dream, and back then there were detractors who fiercely believed that gaming would never be treated as a sport in South Africa. It should be remembered that chess was not considered to be a sport in those days. Through hard-work, and sheer bloodymindedness, officials of what was to become Mind Sports South Africa hounded the then Springbok Colours Board and the South African National Olympic Committee. 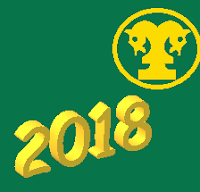 Eventually persistence paid off and MSSA (as the South African Wargames Union, as it was then named) was accepted as an official national federation in 1991. Today, there are still the dreams about which the volunteer administrators are still passionate. The dream of official accreditation may have been achieved, but there are so many, many, more dreams. Dreams like getting gaming into the Olympics, dreams of increasing South Africa’s participation at international events, dreams of improving South Africa’s standard of play, dreams of ensuring increased funding for gaming, and so many others. However, dreams are nothing without hard work and the coming together of like-minded individuals. MSSA, and its affiliates, are the only bodies in South Africa that truly have the interests of the gamer at heart. MSSA does not look at the balance sheet, it looks at the long-term goals, and the expected outcomes that will propel gaming forward. All those who dare to dream in a better gaming future in South Africa should affiliate and be part of the solution. For more information on how to affiliate to Mind Sports South Africa, please e-mail mindsportssa@iafrica.com. 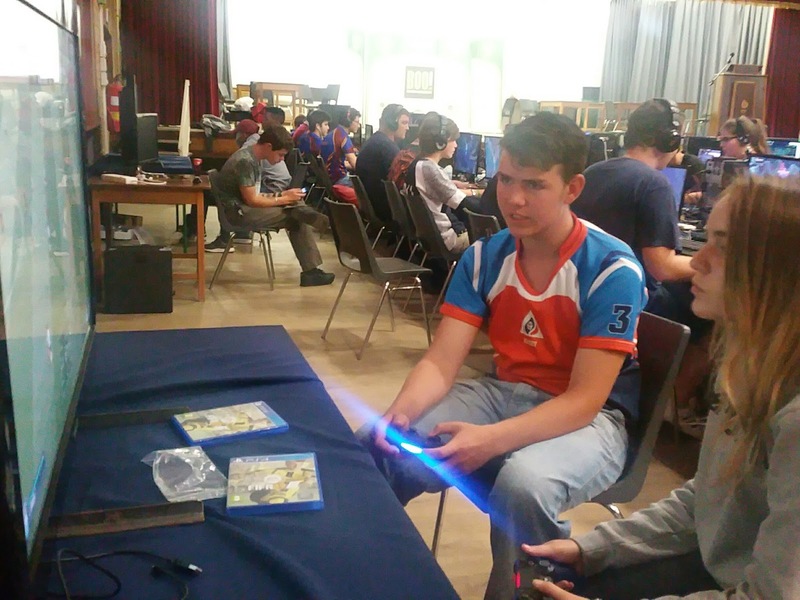 Morizane Boyes in action in IESF's 2014 Esports World Championships - Baku. Like in the Biblical story of Joseph, the course of events occurred because of his father’s, his brother’s and, more importantly, his own actions. Had Joseph not been quite so insufferable, his brothers would not have sold him into slavery, and he would never been able to save his family once the famine hit. The lesson is that none of us know what the future holds. There are some, who through higher learning, experience, and applied insight, who have a reasonable idea, but none can predict the future. Thus it is important that all should have a flexible mindset and take opportunities when they arise. Those that take a contrary position to any new idea or who oppose ideas because they are different, paint themselves into a corner. The few that do paint themselves into a corner then cast around for allies in order to support their ‘world view’. Such behaviour may work for a time, but eventually, through time, such fail. Such failure leaves those supporters bitter and despondent, and often without any real knowledge of why there was opposition in the first place. As a gamer, you do not have to like all the various competition types, all the people involved, or even all the various mechanisms. However, as a gamer, you owe it to yourself to take advantage of every organisation. As a gamer, if you want to be good, truly good, if not great, you need to play in as many competitions and championships as possible. It is through playing in all such competitions and championships that the gamer learns how to be flexible and adaptable to various systems. MSSA - looking after a variety of disciplines and games. Currently, there are over eighty-eight (88) clubs affiliated to Mind Sports South Africa. South Africa’s oldest, and largest membership based, gaming organization continues to grow. With many of the member clubs having more than one team, MSSA is now able to deliver more than ever before. The growth of structured clubs leads to a far more sustainable sport. In the past, teams were created by interested individuals, and when such individuals lost interest, ‘fell’ out with their players, or found that running a team was not as profitable as they thought, such individuals would move on to more lucrative endeavours. Clubs provide a legal framework for a democratic process in which there can be a process of elections wherein the intellectual property of the various teams and the resources earned over the years can be legally transferred to the new administrators. It is through the legal club structure that clubs can access National Lottery Funding. Such funding is vital to anyone who wishes to grow and develop gaming, whether it be, board gaming, card gaming, esports, wargames, or robotics. Gamers at Fairmont High School in action. Any affiliated club may host a Regional Championship. With all the profits of a Regional Championship going to the host club, it is very easy to see why so many clubs are willing to host a Regional Championship. A Regional Championship also does not have to have all the events that you will find at a MSSA Provincial Championship. The host club can 'pick-and-choose' which events it wishes to host. Theoretically a host club could host a Regional Championship every single month by just doing one title per event. The flexibility of a Regional Championship does not stop there either. There are many titles that do not form part of MSSA's provincial and national championships. 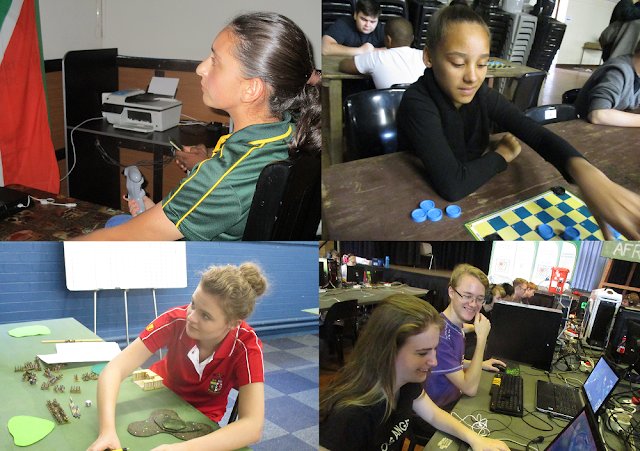 It is through the Regional Championships that MSSA can also help quantify the development in any/all of MSSA's disciplines (board games, card games, esports, or wargames) in South Africa as any title may be played at a Regional Championship. Thus a member club, through the Regional Championships, is more than able to cater for all members of its community by providing ongoing championships throughout the year. a. Members within a region may offer to host, through a bid, any such championship at least 90 days prior to the event. b. The decision to which club the hosting of such event is awarded shall be made by the Management Board. c. The host club shall sign an SLA. d. The Management Board may decide to host such championship itself. Should such decision be made and bids have been received, the Management Board shall advise all members of the reasons therefore. e. Every effort shall be made by the host to hold such championship in a venue that is easily accessible to both Players and members of the public. f. A Regional Championship may be played to any periods currently offered at a Provincial Championship or approved of by the Management Board. g. The different periods may be held at separate times and venues from other periods. h. Only Regional Championship for each period shall be held in any one season. i. Any person may enter, however only fully-paid-up Registered Players may qualify for National Team Trials in such event. Non registered Players shall be charged a surcharge, which shall be decided upon by the Management Board from time-to- time, and shall be remitted to MSSA by the host club within 5 days of such championship. j. The host club acknowledges that the event/s is/are wholly owned by the MSSA and all rules are complied with. k. The host club shall set the entrance fee. Such fee shall be included in the bid. l. The host club shall supply suitable and qualified umpires. m. The host club shall purchase the medals from MSSA. MSSA shall price the medals at cost + 20% and postage. n. The host club shall be responsible for the venue and all other costs relating thereto. o. The club shall keep the net profit for the event. p. The club must submit all results to MSSA within 48 hours. q. The club must send a statement of account to MSSA within 30 days to the VP in charge of events. r. No results may be posted on any site until MSSA has announced the results. s. The MANCOM shall invite the player who finished in first place, if a Registered Player, to attend the National Team Trials if the event has met with all the criteria. t. The results may be vitiated by the VP in charge of umpiring if any of the above are not complied with. 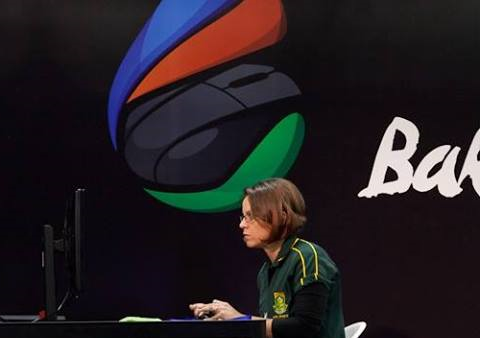 May professional esports teams 'try-out' for the Protea Team? Team Esports Russia with the BOO! 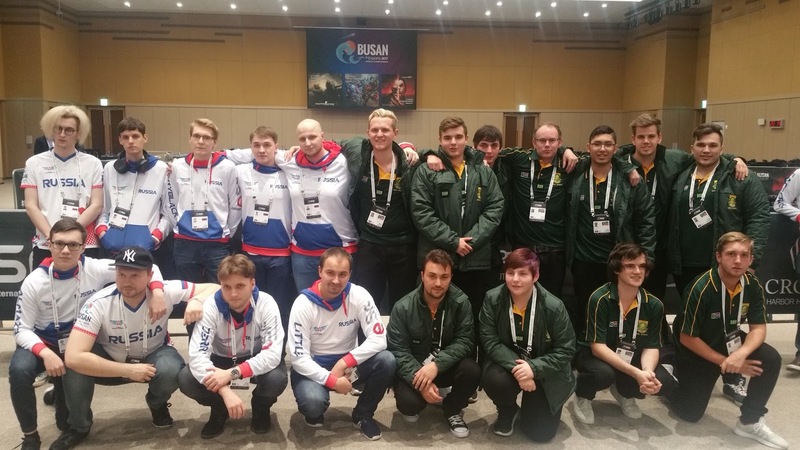 Protea Esports Team at IESF's World Championships - Busan. The Protea Esports Team officially represents South Africa in accredited esports events, and is the only team that may legally represent South Africa in such. Since 2005, MSSA, has entered the Protea Team into no less than 40 events and awarded Protea colours to over 122 esports athletes since 2005. Currently MSSA is also ranked 12th in the world. But are all the members of the Protea Team drawn from amateurs? Over the years MSSA has selected Protea Team Members from a number of professional teams, such as, VexxedPhoenix, Bravado, Energy, xTc, Veneration, PolarFluke, etc. A total of 38 of the athletes that have represented South Africa in its Protea Esports Teams have thus been produced by professional clubs. For a professional esports athlete to be considered for selection, such athlete must go through the same process as any other. In other words, the athlete must qualify for National Team Trials at a MSSA Regional, Provincial, and/or National Championship. It is a simple process, and the benefits are huge. For more information on how to participate in Mind Sports South Africa's events, please e-mail mindsportssa@iafrica.com. True competitors: Focussing on mastery and growth. The 2017 BOO! Protea League of Legends team. So often in esports, gamers proclaim to one-and-all of their status as being of a professional status. However, before claiming such, a gamer needs to be a true competitor. In my opinion, the first step to become a true competitor is to focus on mastery and growth. In order to master the game, the gamer must study the game, study games of others, read about the game, and write about the game. The gamer must endeavour to learn as much as possible about the game, every aspect of the game, and every nuance. But why do I recommend that the gamer writes about the game? Simply put, once the gamer attempts to put down on paper what/he or she knows about the game, he/she will discover his/her weaknesses. Thus growth is part and parcel of assuming mastery of the game. Only by knowing your weaknesses, can you grow. Growth is never easy as it relies on you taking a hard look at yourself seeing your flaws and working on them. To grow as a true competitor, you need to enter as many tournaments as possible, keep a log of your performance, train productively, take the hard road, listen to criticism, promote an ethic of excellence in all situations, and equate success with effort, improvement and meeting of personal goals. There is nothing easy about being a true competitor, but, if you do it right, these ‘life-skills’ are transferable into your every day life and will be of great benefit to you. With Connor Chaplin having left for fairer climes, the position of online school Tekken 7 esports champion is wide open. However, there seem to be a number of contenders for the title. Looking at the most recent of championships, the main contenders come from no less than 5 clubs from 3 provinces. Itumleng Movo (Northcliff High School, Johannesburg, Gauteng). While Northcliff High School has a long tradition of creating gamers of exceptional standard and sportsmanship, such is the nature of esports that no school can rest upon their laurels. There is always someone out there training harder, and picking the game up that much faster. However, all of the above-named gamers have a standard so close to each other, that only through a hard fought championship will it be able to separate them. Roll on MSSA’s 8th On-lineInter-school Provincial Championshipson 10 February 2018 – it is going to be exciting. 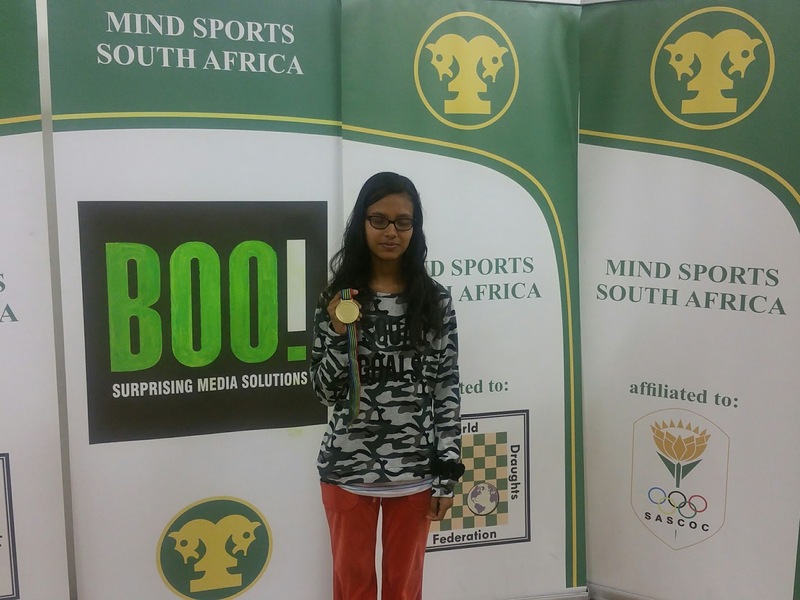 SAHETI dominated the game of CounterStrike:: GO in the 2017 On-line Inter-school Provincial Championships. Mind Sports South Africa’s (MSSA’s) 8th edition of its On-line Inter-school Provincial Championships is to be held on 10 February 2018 and is MSSA’s first major event of the year. The championship has grown from year-to-year, and the format seems to be a most successful one. With teams playing from their schools, under the watchful eyes of the Educators-in-Charge, the school teams are able to battle it out in a controlled environment. The one-day event, also does not place undue pressures on either learners and educators and prepares all the athletes participating in the event for the Provincial and National Championships that lie ahead. Alasdair Donaldson (on the right) of the BOO! 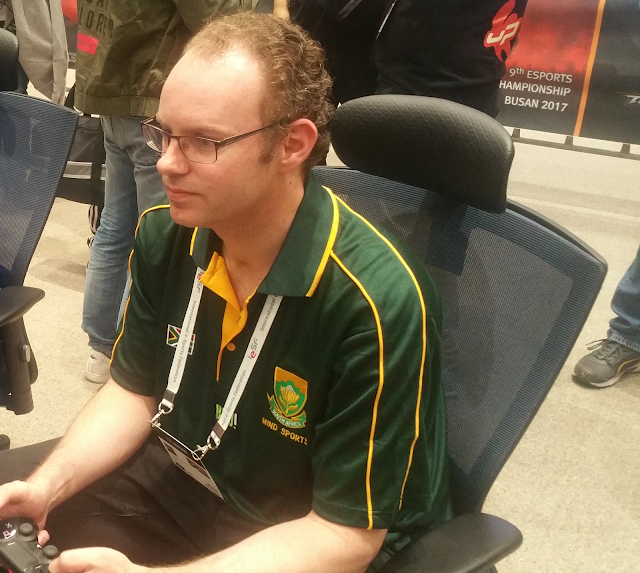 Protea Esports Team demolishing his opponent from Namibia. With Mind Sports South Africa (MSSA) already committed to attend IESF’s 10thWorld Championships - Kaohsiung, unique opportunities are being offered to athletes who hold South African passports. While it is true that the team is only selected after the annual National Team Trials every year, such system provides all athletes who qualify for such trials with the opportunity to be selected. It must be remembered that MSSA always tries to select the best possible teams to represent South Africa. Thus an athletes may not be selected in his/her first attempt at ‘Trials’ as the Selectors may not consider the athletes to be quite ready for the rigours of international competition. The last thing MSSA wants to do is sacrifice emerging skill on the altar of competition to see such athletes become despondent and disappear from high level gaming. Athletes are often crushed by the intensity of international competition if they do not have the correct mind-set. Getting into the Protea Team is the highest honour afforded to a South African. It is the first rung of the ladder to true international competition. Have represented South Africa in the Protea Team in 2017. Athletes are reminded that MSSA shall hold its National Team Trials on 2 & 3 June 2018. Again Charlize Seremak (HTS Sasolburg) has taken the top spot. This time it is of the official ladder for Tekken 7 for women. It is most encouraging to see more-and-more women taking up esports. The huge driving force behind more-and-more women participating is none other than MSSA president, Morizane Boyes,(from Witbank). Not content with having represented South Africa in the official Protea Esports Team at Baku in 2014, Morizane has made it her mission to increase the numbers of females participating as well as the standard of play among such gamers. Morizane started her efforts when she was elected onto the Management Board in 2013 (Womens’ Desk) and together with Blair Hamberger (who currently holds the position of Womens’ Desk) is continuing to give the cause of ensuring gender equity great impetus. Thus gamers like Charlize Seremak are able to reap the benefits of those that went before them and to thus benefit from her own hard work, skill and determination as she takes one title after another. Members of the BOO! 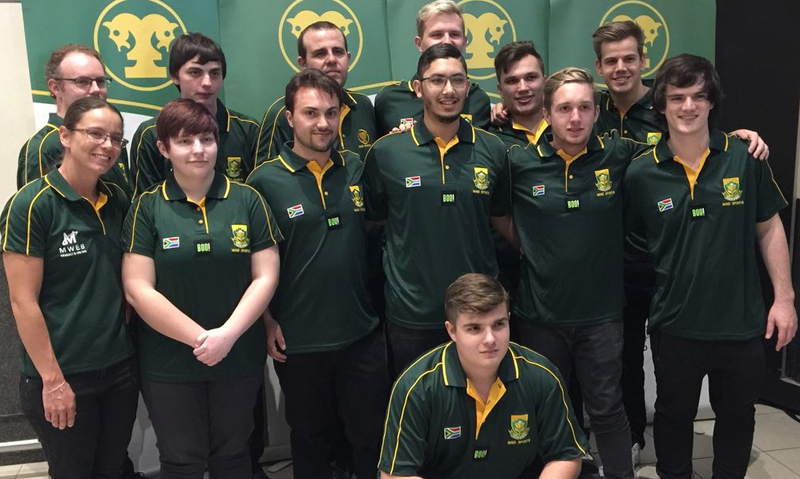 2017 Protea Esports Team that represented South Africa in Busan. It is that time of the year again when many gamers look towards MSSA's National Team Trials, and wonder what they have to do to qualify for such Trials. Why does MSSA use National Team Trials to select Team eSports South Africa? It is common knowledge that everybody's standard of play changes from year-to-year. Not only that there is a natural growth in new gamers who enter the scene and a natural 'drop-off' of gamers who leave the competitive scene due to changing work and family commitments. Thus annual trials are held to accommodate the above changes. Through such system a highly competitive system is too maintained wherein gamers are able to fight for their positions as a position in the team is only held for one calendar year. May anyone enter National Team Trials? It must be remembered that the team selected by MSSA to officially represent South Africa is an official sports team that officially represents South Africa and is awarded Protea Colours. As such MSSA is required to follow due care and follow proper procedure in awarding such colours to its teams. If such player is still a minor, such player must have a signed affidavit signed by both parents as well as an Unabridged Birth Certificate. Does the winner of National Team Trials automatically get selected? Gamers should remember that NTT is not a competition, it forms part of a selection process. At such Trials drug testing may be held and gamers shall be tested to see how they deal with issues that may occur. It must be remembered that those being selected are being selected to represent South Africa. Is the team selected immediately at Trials ? The captains of the teams are immediately selected at Trials. The selected captains then sit with the Selectors and the Team Manager to select the team. Once the selection is completed and all the procedure has been followed, then the team is announced. May Team Esports South Africa belong to an existing clan/team? The short answer is yes. A player will only be selected to represent South Africa if he is a member of a club affiliated to the MSSA, so that is really not an issue! The membership that the the team member has does not just disappear when the player is selected for national duty. Is the national team allowed to enter private tournaments like the DGC or EGE or even overseas events? MSSA allows all of its National Team Members to enter any competition that they want to as members of their clan. Gamers only play as the national team in international events upon request by the MSSA. However, the National Team Member must, and can, only represent a clan that is currently affiliated to the MSSA. Thus, for example, a member of the National Team, who is affiliated to Clan A, which is a member of the MSSA, that means he cannot play for any clan that is not affiliated to MSSA. Should a clan that is not a member of MSSA indulge in ambush marketing by claiming that he is a member, MSSA will expect the player to publicly renounce any such claim. Why do the members of Team eSports South Africa need to sign a contract? All members who are selected to, and join, a national team are given a contract to sign. If the gamer has not yet reached the age of majority, the legal guardian signs the contract. Essentially, if the rules are broken, there may be a financial implication as well as a disciplinary implication. Depending on the severity of the breach, action may be taken by the International Federation concerned, SASCOC, or by the National Federation. Does the National Team have to abide by a Code of Conduct? The Code of Conduct that a team has to follow is an amalgamation of what the South African Sports Confederation and Olympic Committee (SASCOC) and the National Federation expects. 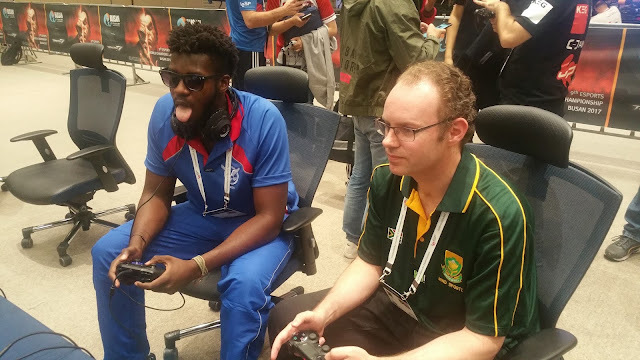 Obviously the player representing South Africa has to hold him/herself to a higher standard than the average gamer as so much more is expected of the team member. This way all the parties concerned, the sponsors, the MSSA, the IeSF, and the gamer are protected. The Code of Conduct is not onerous, but largely common-sense. In short, it is how you would expect someone to behave if they were representing you! Is there a difference between officially representing SA in Esports as opposed to any other sport? There is no difference between officially representing South Africa in Esports to any other sport. Esports is an officially accredited sport, and the Protea Colours that are awarded are awarded by the same Protea Colours Board that awards Protea Colours for all other sports.